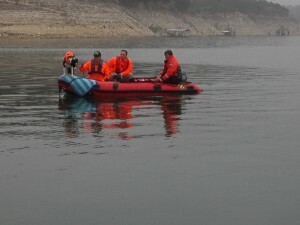 A search effort was immediately launched, led by the Travis County Sheriff’s Office. Unfortunately, two days of underwater searching, hampered by low water temperatures, poor visibility, and numerous in-water obstacles, yielded no results. Sheriff Deputies decided to try a different approach and contacted TEXSAR to request the service of our team’s human remains detection (HRD) canines and handlers. 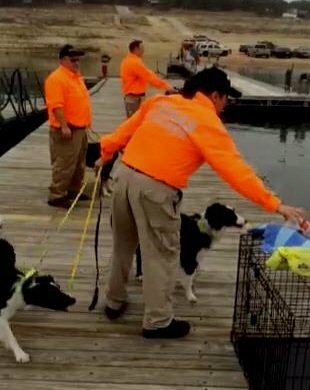 On the morning of Tuesday, February 25, TEXSAR responded with four certified canines and seven search and rescue personnel. The team was loaded onto Lake Patrol vessels and went to work. In short order, the dogs alerted to a specific location on the water. 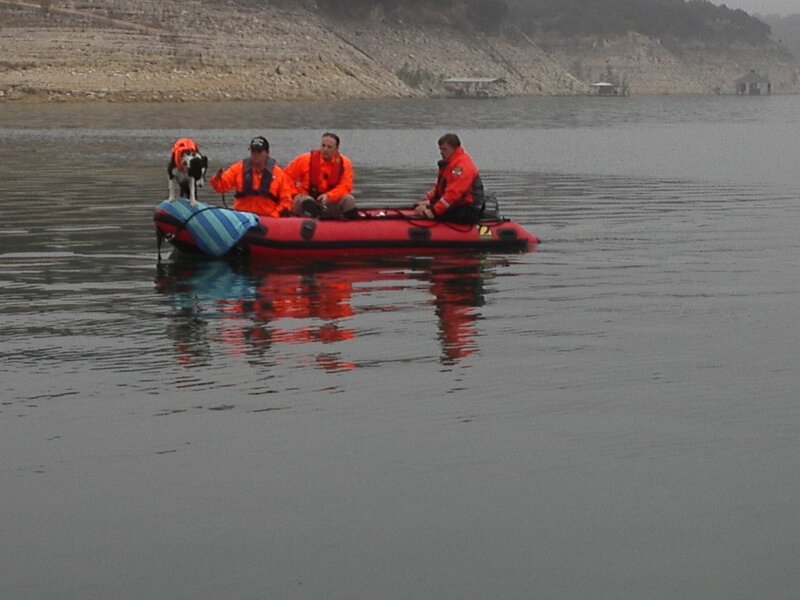 A Sea Otter underwater remotely operated vehicle was deployed, locating the man’s body in approximately 25 feet of water. The quick results of this search demonstrate the extraordinary capabilities of our canine assets within TEXSAR as well as our team’s ability to interface seamlessly with law enforcement. We are proud to have played a part in bringing closure to this tragedy.